← Playing With Your Wood! Part 1. 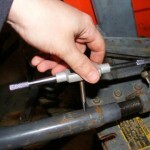 While doing routine maintenance on your tractor, you will sooner or later come across a broken grease port or zerk. 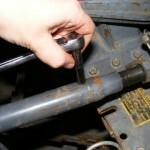 By following this simple procedure, you can avoid a trip to the mechanic and cut your repair costs down to a couple of dollars! 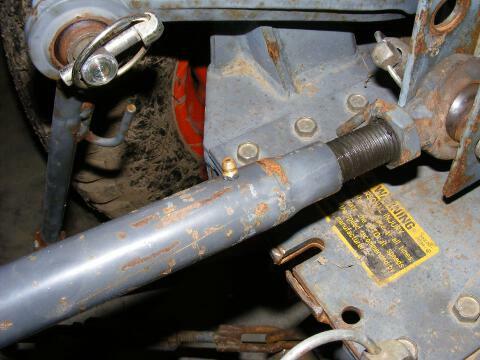 A working grease port is necessary to keep linkages or bushings operating smoothly! 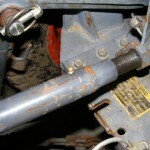 A broken grease port on a tractor hitch linkage. 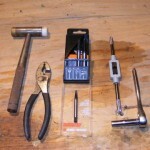 The tools to complete this task are pretty easy to come by. 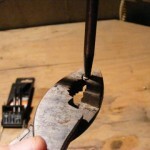 Choose the appropriate size bolt extractor and lightly hammer it into the broken port. 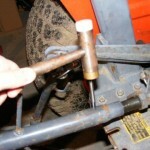 Attach the tap handle to the bolt extractor and back out the broken port. 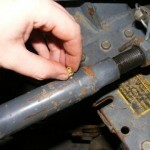 This little guy could have caused the top link on your hitch to bind up! Thread the new grease port into it’s hole by hand. Tighten the grease port until it is seated firmly. 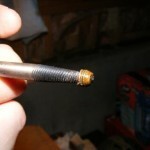 Finish off your installation with a fresh shot of grease. That’s all there is to it! Now you have one less excuse for downtime! 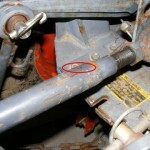 This entry was posted in Tools/Equipment and tagged grease gun, Kubota, maintenance, Tractor. Bookmark the permalink.